and the fun days I had had with him on the Sierra Challenge. 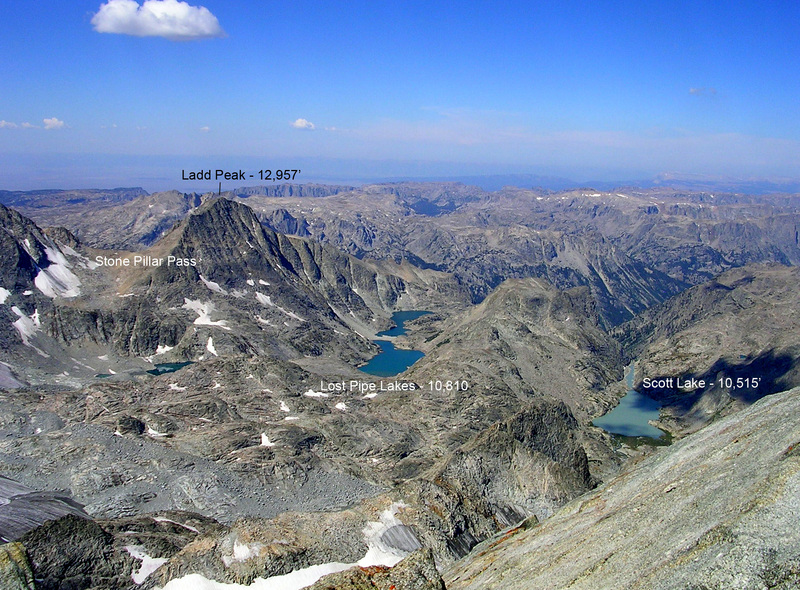 Comparing the logistics, if I could take 10 days of the Challenge, then I certainly could dayhike Gannett Peak. It certainly wouldn’t be a walk in the park, though – with just over 40 miles round trip and over 10,000 ft of elevation gain, I would need to travel fast and ultra-light to be able to do the hike. Also, I needed a partner. 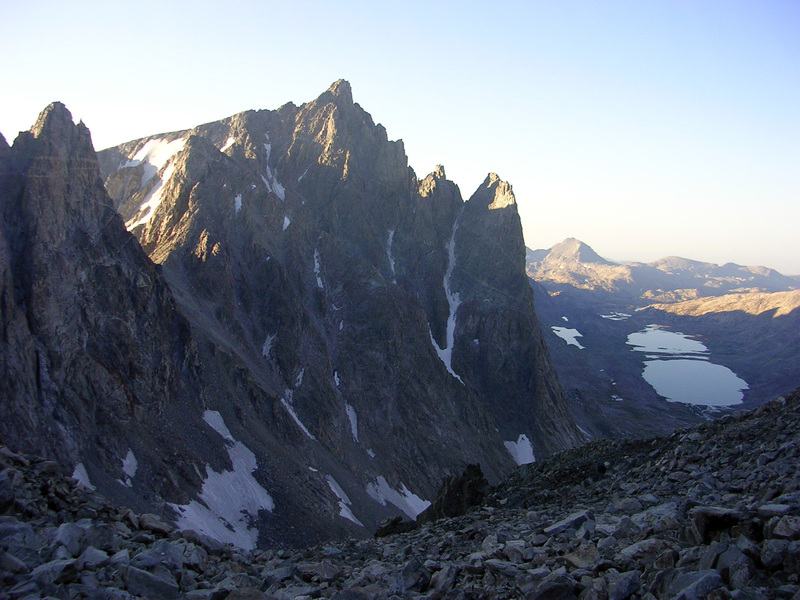 Somehow all I had to do was mention the trip one day to my friend Joel Wilson and he happily volunteered to fly out to Salt Lake City with me to climb the peak and attempt the WURL (Wasatch Ultimate Ridge Linkup), another sick and twisted goal of mine. On August 20th we flew from Oakland to Salt Lake City, and after an unfortunate delay in finishing a final assignment for my summer architecture studio, we were racing north, hoping to reach the trailhead by our planned start time of 12:00 am. It looked like we might be late, and we definitely would be sleep-deprived – definitely NOT a good way to start out the climb. Luckily Joel and I made good time driving across Wyoming, and by 11pm we were driving up the mountain road above Fremont Lake. As we approached one turn in the road we noticed an eerie orange glow – obviously there was a huge fire around the bend. As we got closer it became apparent that we would be traveling right through the inferno. “Great,” we joked to each other, “we were going to be on time to the trailhead, but now we’re going to be delayed by burning wreckage on the road.” Luckily the fire was merely a brush fire alongside the road. Some teenagers had already called it in, so I did the touristy thing and took pictures. As we continued on we could feel the heat of the fire inside the car. We reached the trailhead at 11:30 pm and had just enough time to eat a light breakfast and throw on our packs before starting exactly at midnight. We were both traveling very light, with packs weighing barely 20lbs. Together we brought 1 bivvy sack, one small first aid kit, crampons, helmets, ice axes, 2 fleece jackets and shells, sunscreen, sunglasses, camera, headlamps, cell phones, maps, compass, 1 sausage, a few granola bars, 4 liters of water, and about 20 packages of GU. We started off extremely fast, practically running up the trail. The small world illuminated by my headlamp gave me a sense of tunnel vision, as it was mostly a white blur, with occasional rocks and roots, barely discernable, moving through my field of vision. I did my best to hop and skip over them, but the lack of depth perception with my LED headlamp caused regular tripping and cursing, but with each stumble I maintained my momentum and kept my stride fast. By 1:30 am we had reached Photographers Point, nearly 5 miles up the trail. Next we had a long downhill portion that took forever. Larger rocks made hiking downhill at 4 mph difficult, and after a significant jarring to our knees, Joel and I quickly ascended back up to Seneca Lake, reaching the far shore by 3am. So far so good. The hiking was tedious at times, as hills seemed to come at random, with no end in sight for their ascent or descent, but I did my best to match the terrain to the topo map in my head to determine our progress. Overall though, the terrain flew by, and at 4:40 am we reached Island Lake. Joel commented on a nice looking beach that we should soak on feet in on the way back and then we began a final climb to the Titcomb lakes. Beyond the lower outlet, the trail began to fade and was often interrupted by marshes and stream crossings, so in the dark, our speed slowed. By about 6am we reached the far shore of the upper lake. While I took my time refilling my water, Joel announced he was taking off on the cross-country portion, but would go slow so that I could catch up. 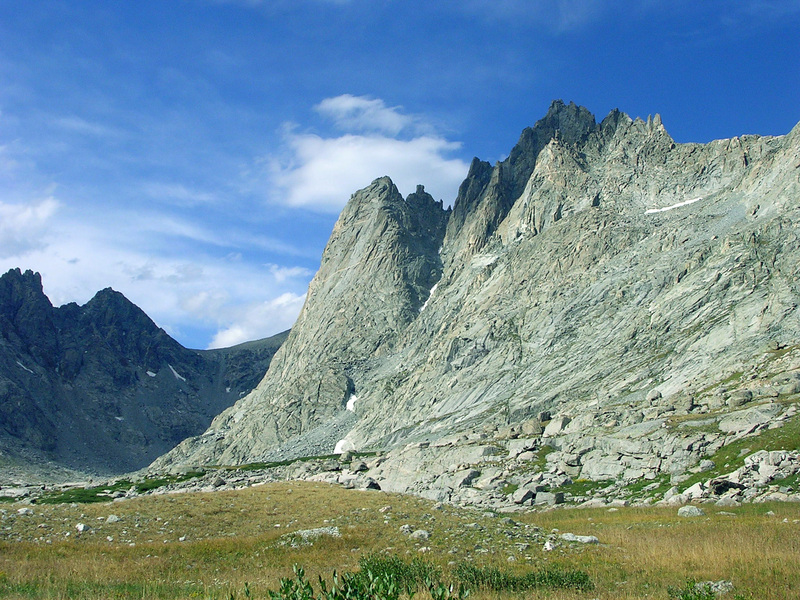 I hiked quickly up the grassy meadows and rocky slabs, but Joel was nowhere it sight. At one point I came across some campers tending some goats (?!) that tried to follow me, to their annoyance. Eventually I crossed the permanent snowfield trickling down from Mt Helens and sat on a prominent rock to wait for Joel, as I assumed that I had passed him in the maze of talus. A few minutes later Joel appeared and we began the first grueling climb of our hike to gain Bonney Pass. Oddly, we hadn’t seen any signs of hikers ahead of us, and yet we were certain that people must be attempting Gannett Peak that day. 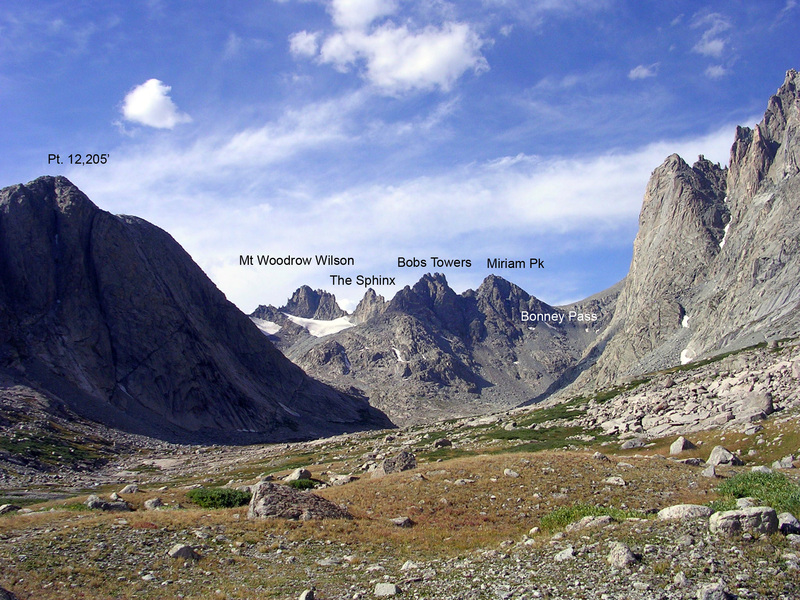 The rocks were surprisingly solid, and before we knew it, we had reached windy Bonney Pass. 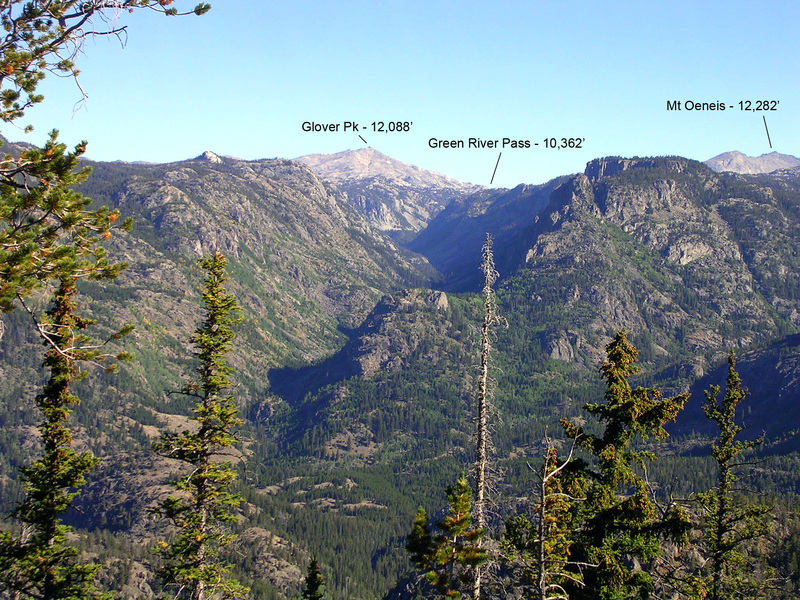 7:30 am - Bonney Pass – Almost There? Upon reaching the pass I had escaped from my tunnel vision and for the first time on our hike I finally began to look around. I immediately whipped out my camera and started snapping away. The terrain was gorgeous! Behind us the ground dropped away steeply to the Titcomb Lakes, above which were some immense granite walls rising up to Mt Helen, Mt Sacajawea, and Fremont Pk. 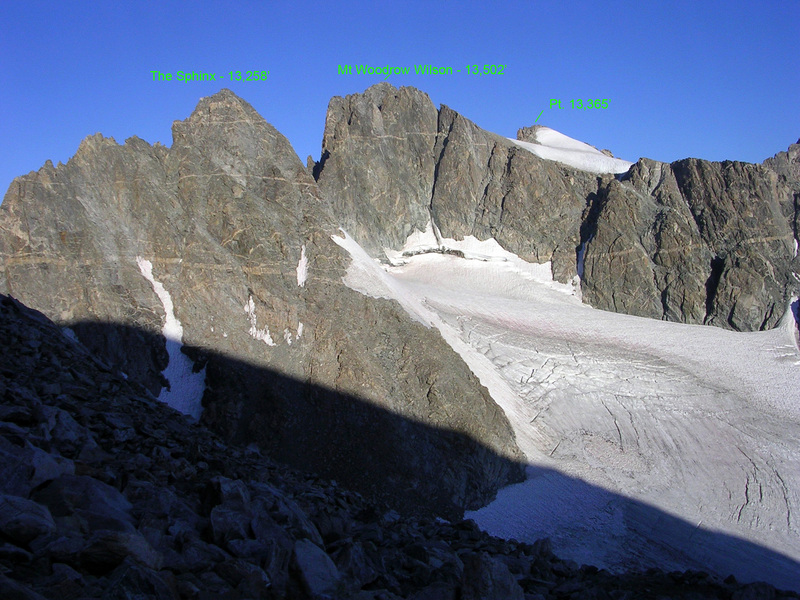 In front of us the terrain dropped away again to the huge Dinwoody Glacier and Gannett Peak beyond. 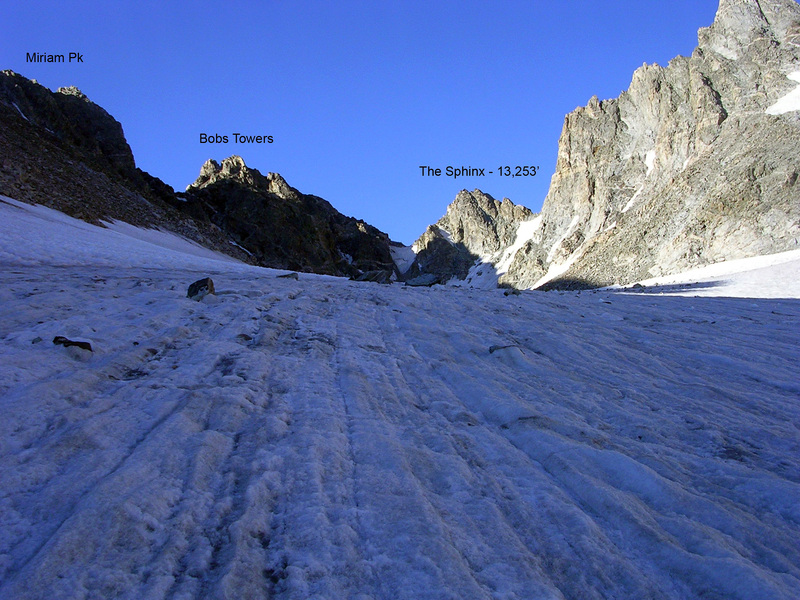 I was surprised at the immensity of the glacier, and the prominence of the peaks lining it. 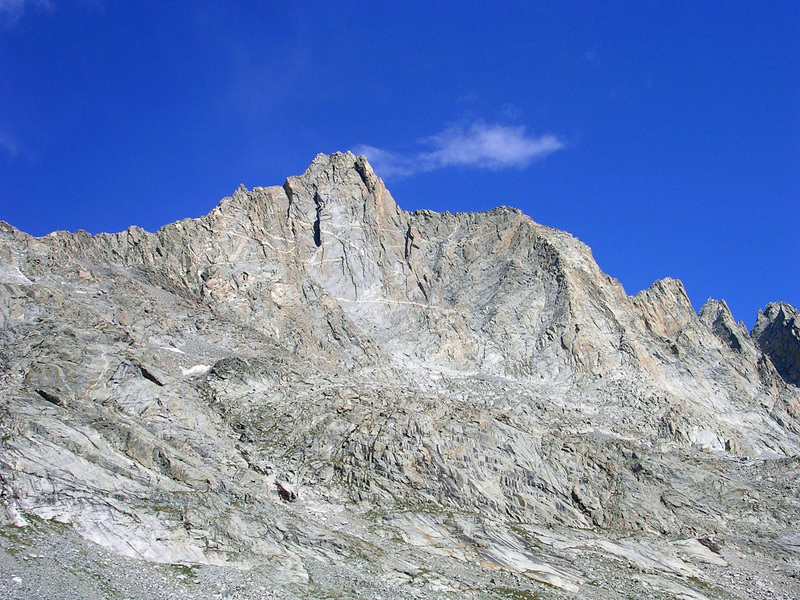 Gannett Peak seen from Bonney Pass. Still a long ways to go . . . The traverse looked longer than expected, and Joel commented that we were behind schedule. 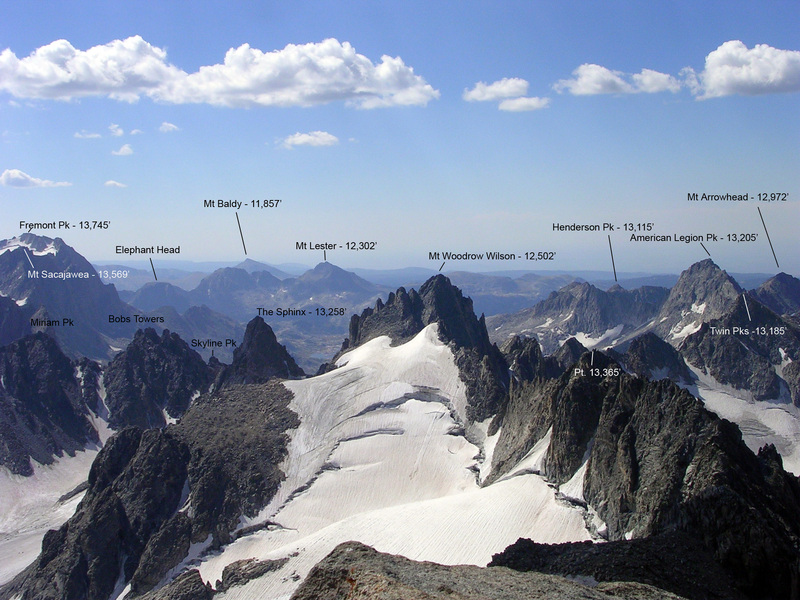 How far were we really from the summit? 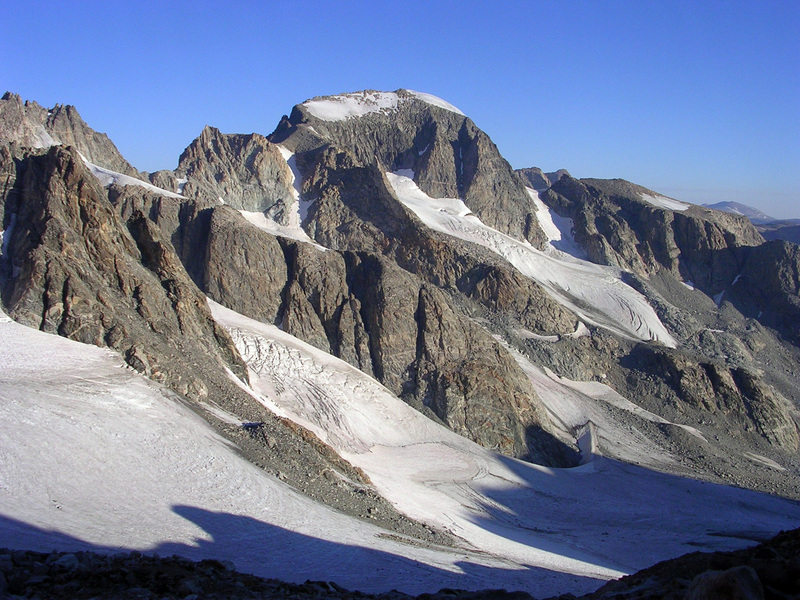 I optimistically said that we were only 2.5 hours from the summit – a half hour to descend from the pass, a half hour to cross the glacier, and an hour and a half to ascend the peak. But how long did we really have to reach the summit? Our speed was obviously slowing as sleep deprivation began to slow us down. Already my body kept demanding rest so that I could drift off to sleep, but at the moment I could keep the urging pretty well at bay. Still, I could tell that the dizziness and fatigue from the lack of sleep would be a major difficulty later. The descent to the glacier went by quickly, but the loose rock on this side of Bonney Pass promised to be a major pain upon our return. Joel and I reached the glacier, donned our crampons, and began traversing while keeping a sharp eye out for crevasses. Luckily the snow cover seemed to be pretty well melted out, fully exposing any dangerous crevasses. The crunchy pocketed ice on the surface hinted that the glacier would turn to slush later in the day – all the better to hurry back. About halfway across the glacier Joel began to crash. He slowed up, but I continued to hike on, eager to get this leg of the journey over with. After reaching the second cleaver in the glacier, I had fun catwalking along the edge of the glacier and an immense moat, some 200 feet across and over 100 feet deep! 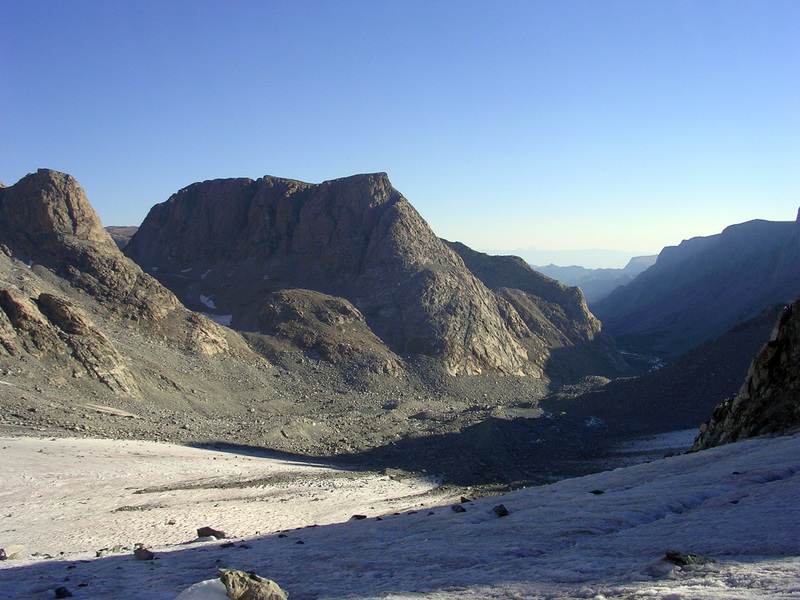 A crossed another thin sliver of the glacier to reach the base of the Gooseneck Pinnacle. A 50 foot deep overhanging moat barred, progress, but a little further up the glacier I climbed onto class three rock to traverse over to the pinnacle ridge. Joel joined me at 8:30 am and we began the irritating routine of taking our crampons and axe back off. 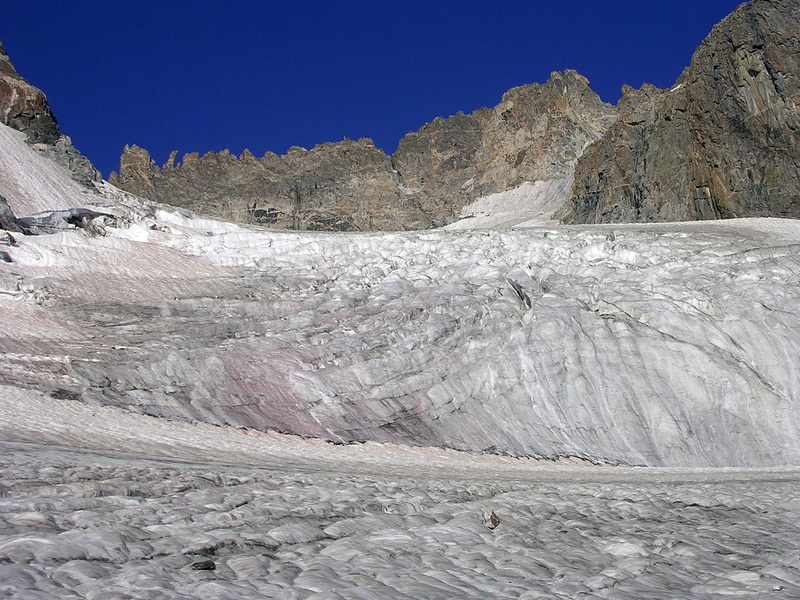 After a short bit of class 2 scrambling I reached the Goosneck Glacier. Ahead of me was a huge convexity in the glacier, shattering the ice into an impassable maze of crevasses and seracs. To my left, though, were some clean and fun class 3 slabs leading around this slow-motion waterfall of ice. 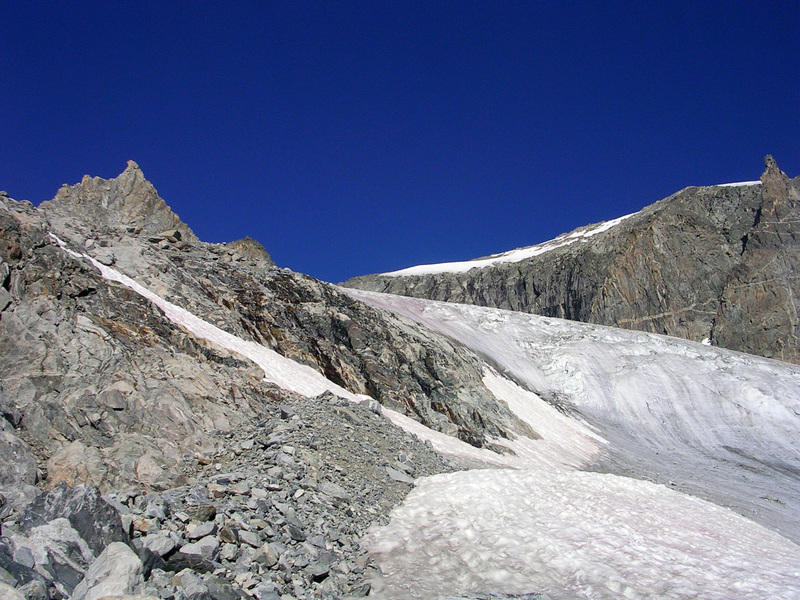 The climbing was exposed and the scenery beautiful and I bypassed the glacier. Soon I was at the base of the Gooseneck Pinnacle, which barred further progress on the ridge – time again to don the crampons and ice axe to continue around on the glacier. As Joel and I rounded the Gooseneck, we kept looking for the impassable bergschrund we had heard about. Joel had called into the ranger station earlier in the week and had learned that the ‘schrund was supposedly impassable by now. The few people summiting were climbing around to the left via some low 5th class rock. 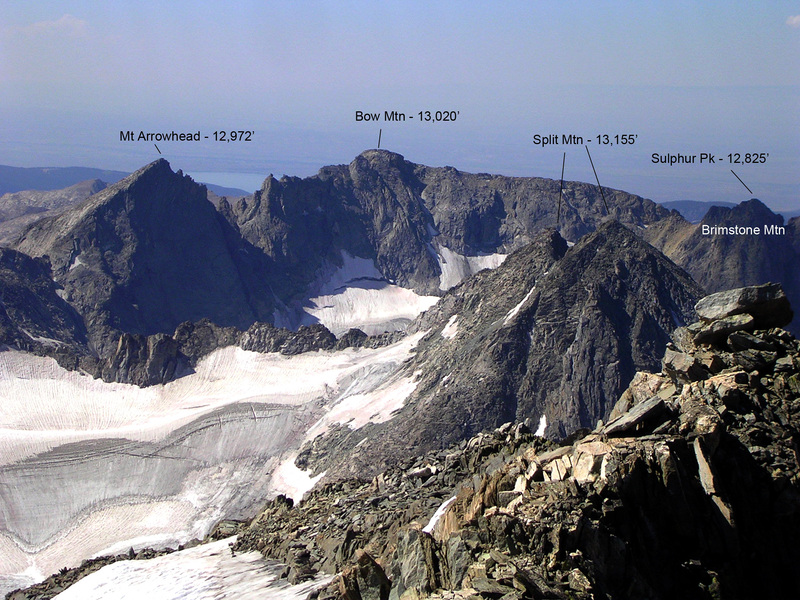 We could see a direct snow couloir splitting the south east face of Gannett Peak and assumed this was our line – yet there was no bergschrund in sight. A few hundred feet later, though, we could see that our snow climb was to our left, directly behind the Gooseneck, and there was indeed a gaping bergschrund blocking passage to all of the snow lines leading above the Goosneck Glacier. As we approached the steep snow chute I looked at the supposed 5.1 rock to the left of the ‘schrund – it didn’t look like 5.1 to me! I carefully walked up to the edge of the bergschrund and looked around. To my left the snow dropped about 5 feet down until the glacier pinched back into the rock, where the bypass was located. To my right there was a snow bridge about 8 feet above me, with a huge cavern beneath, dark blue and lined with sinister icicles. Above the bridge there was a wall of snow some 10 feet high that looked rather impassable. Ahead of me was a drop of about 4 feet to a snow bridge of unknown thickness with a few imbedded boulders. About 10 feet away was a rock wall covered with a veneer of ice several inches thick and a sliver of a snow ledge draping down from the snow chute to the ice wall. 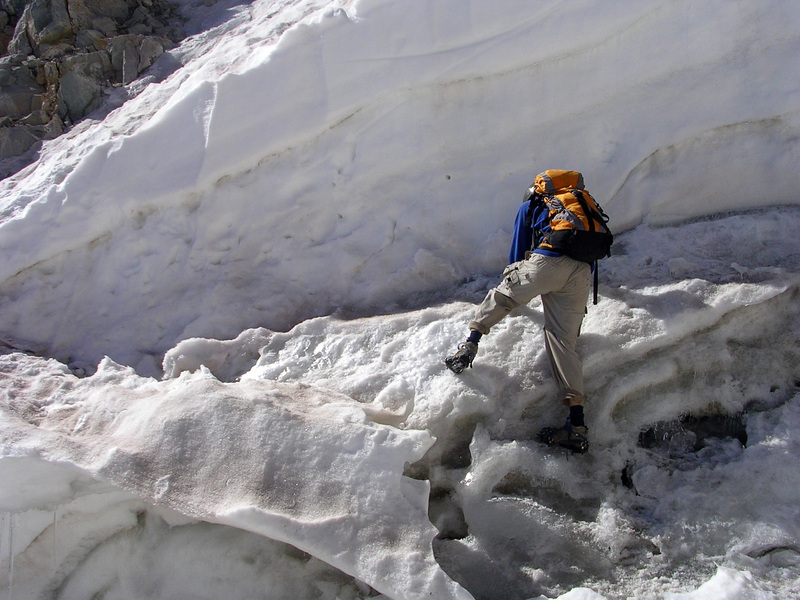 After some debating as to whether we should try the crossing, Joel gingerly poked at the snow bridge and started across. So far so good. Upon reaching the ice wall he hacking the pick of his axe into the ice and proceeded to kick steps into the ice. A few minutes later he was at the snow sliver, staying off of it as much as possible as he traversed up and left onto the snow slopes above. Once he was through I followed. I held my breath and walked quickly and lightly across the bridge and sank my ice tool into the veneer. The ice was pleasantly plastic and secure. I gingerly sidestepped over, moving my tool with me in the ice, hacking away with pleasure, and before I knew it I was on the snow. The crux was over, but now we were worried about getting down – how solid would the snowbridge be after a few more hours of sunlight? Anyways, onward we went, climbing up a nice sun-cupped snow slope some 45 degrees steep. Soon we were at the backside of the Gooseneck Pinnacle. After stripping off our crampons and axes, we continued a short ways further, traversing to the right of the ridge on class 2 ledges before caching much of our gear. I was tired, so I sat down while Joel ran ahead. When I was good and ready I followed. Partway up onto the final summit ridge, I heard yelling. 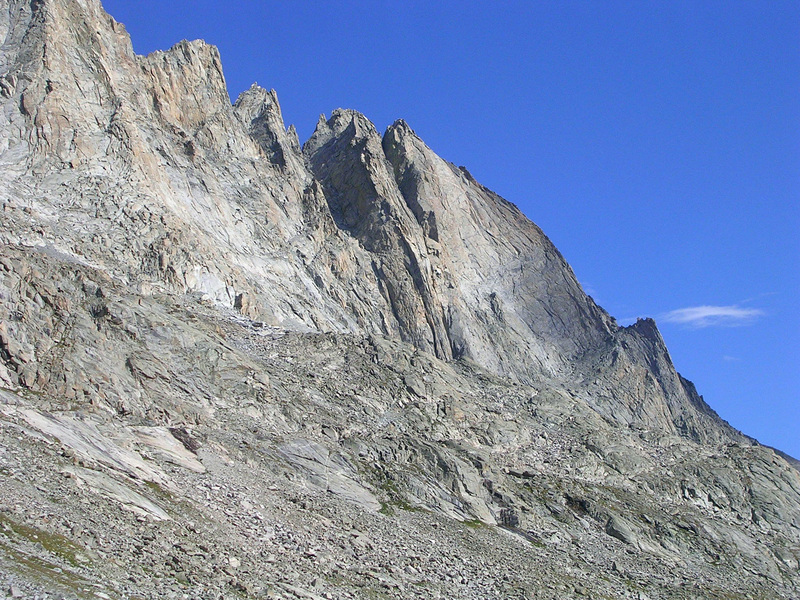 Behind me on the ridge between Glacier Pass and Gannett Peak was a lone climber. I yelled a greeting back and continued on, pondering what route he took to get onto that ridge. Joel had mentioned that the final ridge was exposed class 3, but it didn’t appear that way to me. For fun I decided to use my hands as little as possible, to see if I could keep the route class 2. 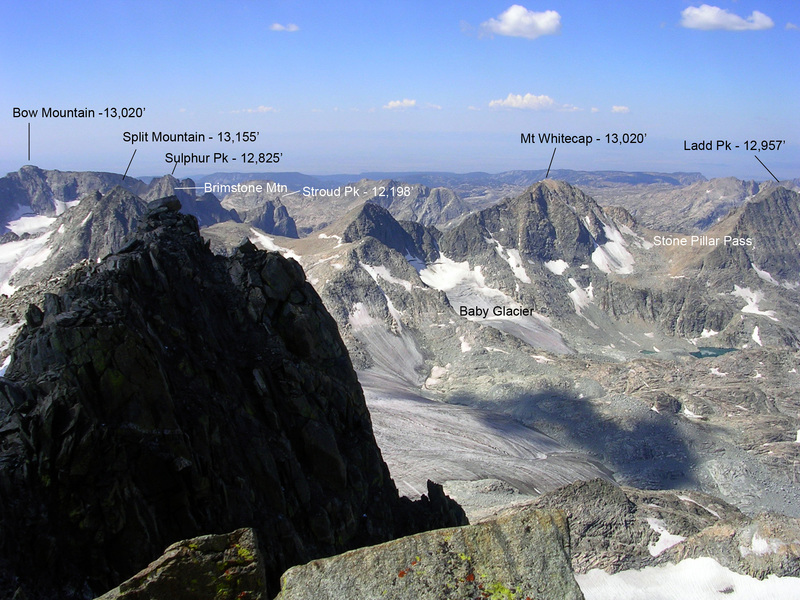 I found that at every class 3 move there was a class 2 bypass, and soon I reached the summit at the same time as Joel. It was 11:05 am, about an hour later than we had planned on summitting. The prospect of returning to Bonney Pass looked rather unappealing to us now, so we took a good long break on the summit. After a half-hour we faced reality and began our long trek back to the trailhead. While we were behind our preferred schedule, it still looked like we would be back to the trailhead before midnight. Our trip should be a success if only we could keep ourselves moving. Partway along the summit ridge we met the lone climber. He had come from the east, but after talking with several parties that had been deterred by the bergschrund, he had somehow climbed the Dinwoody Glacier to the south of the Goosneck Pinnacle and ascended a chute to the north of Glacier Pass! He reported that the chute was steep enough that he didn’t want to downclimb it and was eager to learn how we got past the ‘schrund. After a brief chat (we learned that this was his 49th highpoint), he continued on the summit and we picked up the pace on our descent. The snow slope above the ‘schrund was soft but not too bad, and soon we were back to the class 3 slabs beneath the Gooseneck Pinnacle. By this time both Joel and I were crashing. Occasionally a GU would recharge the system, but we were constantly slowing down and speeding up. 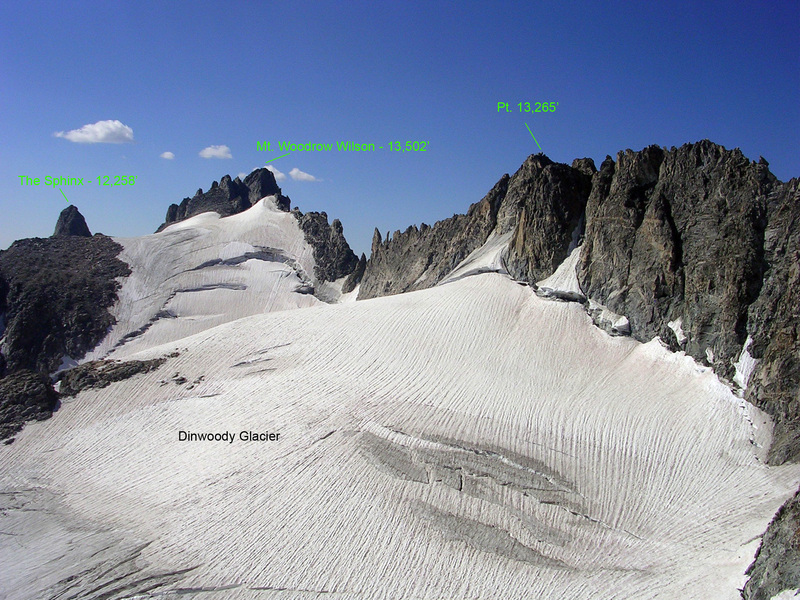 We reached the Dinwoody Glacier at 1:30 pm, and already thunderheads were building in the sky. Occasional rockfall could be heard in the distance, but the unmistakable sound of thunder had me psyched to get across the glacier and over Bonney Pass as soon as possible. Joel fell behind as I raced across the glacier. My pace was still slow, but constant, and I made it all the way across the glacier without stopping. After a brief break at the base of the talus slope, Joel caught up and by 3pm we were at Bonney Pass. Luckily by this time the thunderheads had begun to dissipate, but it was getting late in the day and we still had a long way to go. 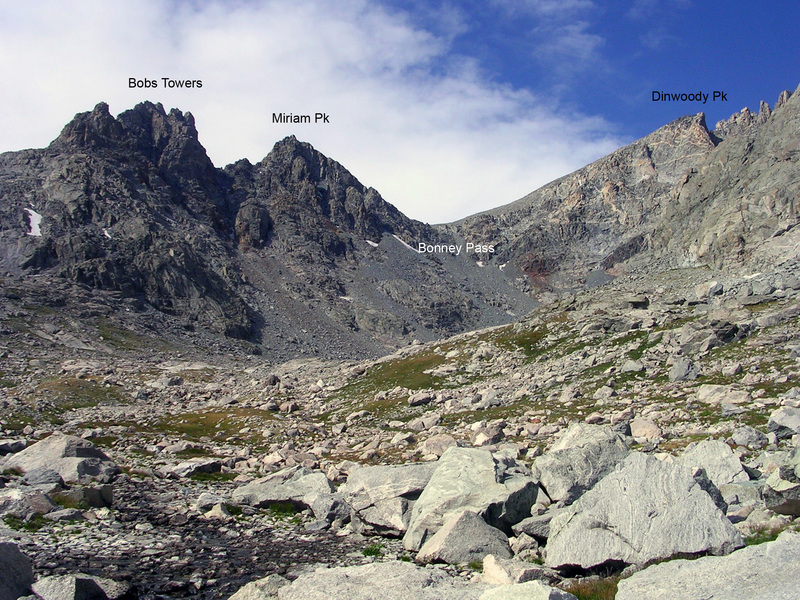 Amazingly the descent into Titcomb Basin took longer than the climb out of it as the rock turned out to be a major pain to scramble down. I suggested to Joel that we take a half-hour nap at the meadows above the Titcomb Lakes to stave off our dizziness and he happily agreed. 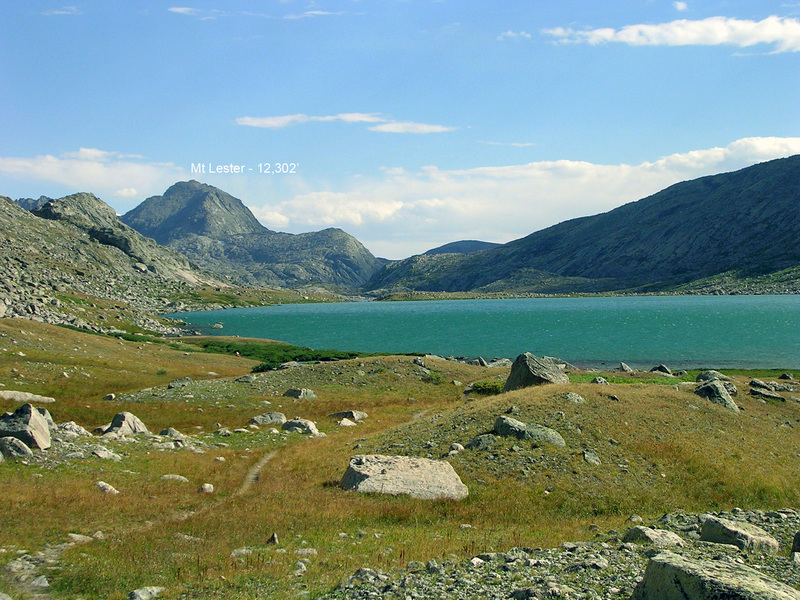 Now it was my turn to crash and Joel dashed off towards the Titcomb Lakes. 5 pm - What Have We Done?! We reached upper Titcomb Lake at 5pm and collapsed. Off came the shoes and socks. Water was refilled, appetites were satiated, but we both agreed that we felt good enough to forgo sleep and start hiking out. By now it looked like our plan to dayhike Gannett Peak was in jeopardy – we had 7 hours to reach the trailhead, but we were still 16 miles away and dead tired. At 5:20 Joel set the pace as we raced down the trail. Surprisingly I began to feel better. Physically I was beginning to feel rested, and mentally I was awake and eager to hike out. Still, I was in a bit of a daze that left me uncertain as to whether I could maintain a continuously fast pace, so I insisted that Joel lead on. In daylight the trail seemed to pass by faster for me, as I could see where we were going. I was glad to be returning in daylight as we had missed scenery along the trail on the approach, and what scenery! By 6:40 pm we passed Island Lake and by 8pm we had passed Seneca Lake. The terrain whizzed by as we began jogging the downhill portions to make better time. The sun was beginning to set, but the trailhead was almost within reach! The final climb to Photographer’s Point took forever, and Joel’s pace dwindled to almost nothing. He thought he was through. Waving me on to finish the hike by midnight, Joel stopped for a break. Still, he wasn’t far behind me and by 10 pm we had both passed Photographers Point. 2 hours left and 5 miles to go. I raced down the trail, looking for every opportunity to pinpoint my location to determine if I should speed up. I occasionally tried to jog, but this proved unwise in the dark as I couldn’t see the trail too well even when lit by my headlamp. I was certain that I should be at the trailhead by 10:45 pm, but as it reached 11:15 pm I became increasingly worried that I had accidentally taken the wrong trail at the last junction. A compass bearing proved this idea false, but the aching in my feet made time pass slowly enough that I was certainly that I should have reached the trailhead a while ago. A few minutes later another compass bearing led only to confusion. Worried about continuing on but not wanting to turn back, I laid to do decide what I was to do, as time was running out. To my joy, as I was dozing Joel’s lamp suddenly appeared on the trail! He couldn’t have made the same mistake I did, so I lept up and continued hiking. Apparently I had stopped a mere 100 ft from the end of the trail, and we reached the parking lot at 11:36 pm. 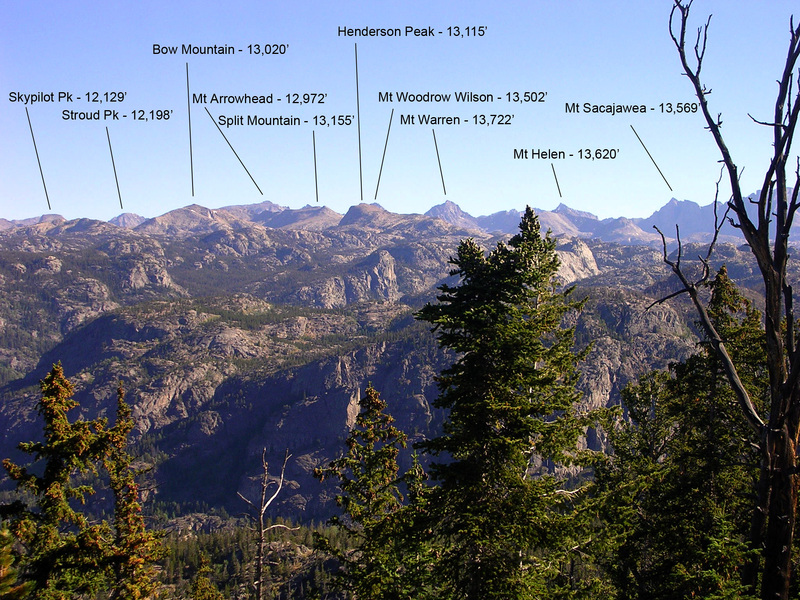 We had successfully dayhiked Gannett Peak, and it only took 23.5 hours! 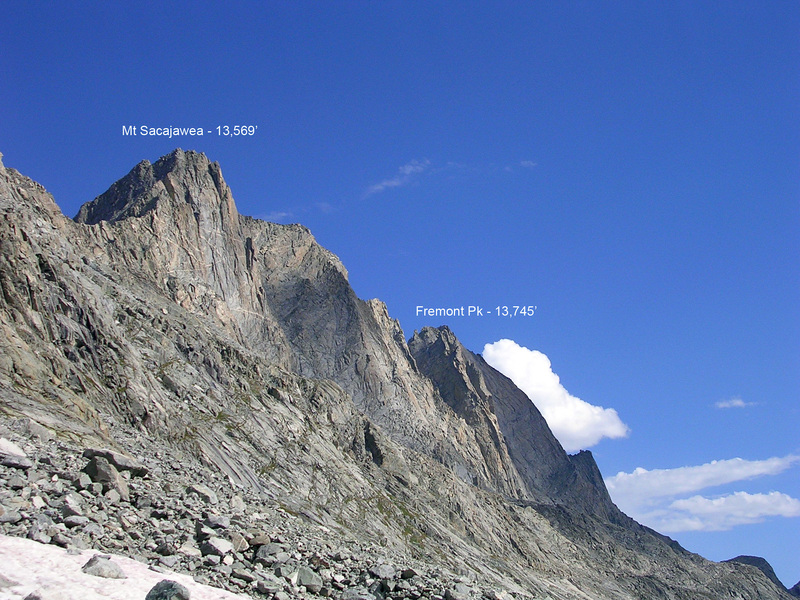 We crashed at the trailhead and the next afternoon we were back in Salt Lake debating whether to attempt my next major project – the Wasatch Ultimate Ridge Linkup. 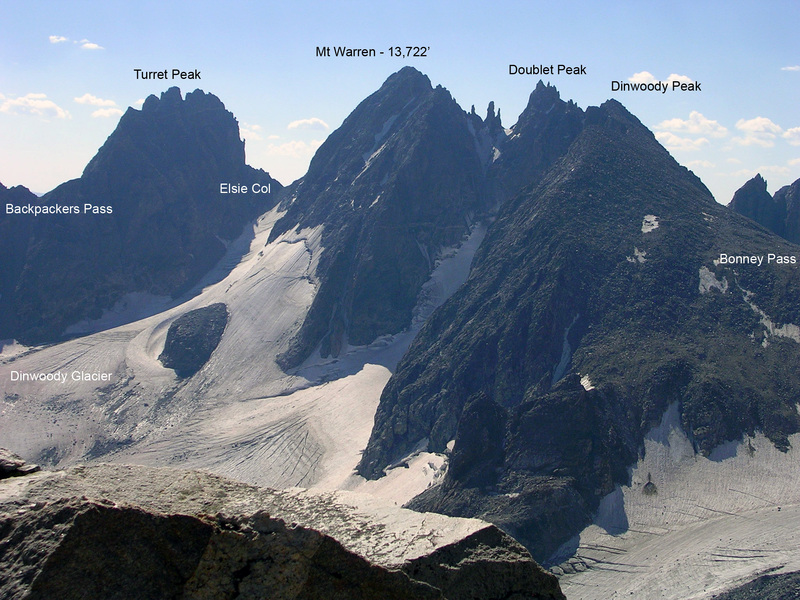 The decision to attempt this ungodly traverse this weekend is still up in the air, but Gannett Peak seemingly left me only slightly fatigued. 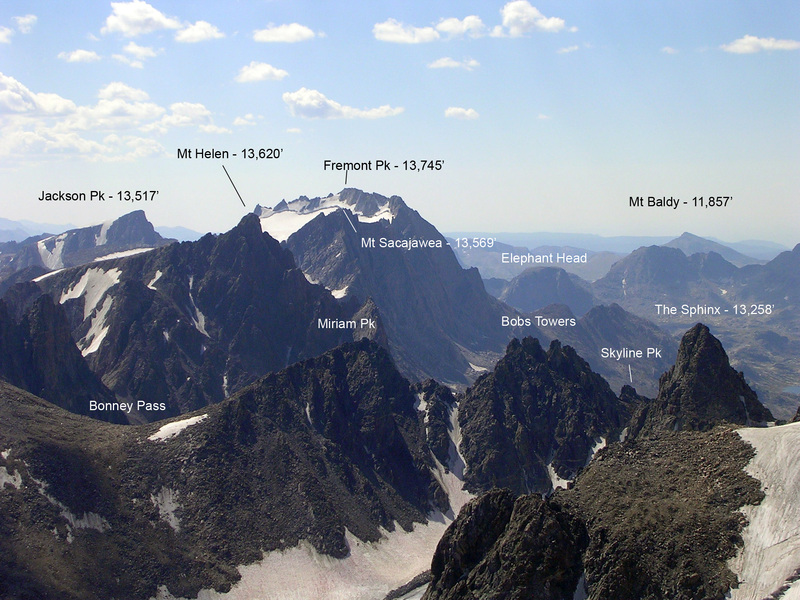 We will know tomorrow if Gannett Peak was our climb of the month, or merely a warm-up for the more difficult WURL climb. 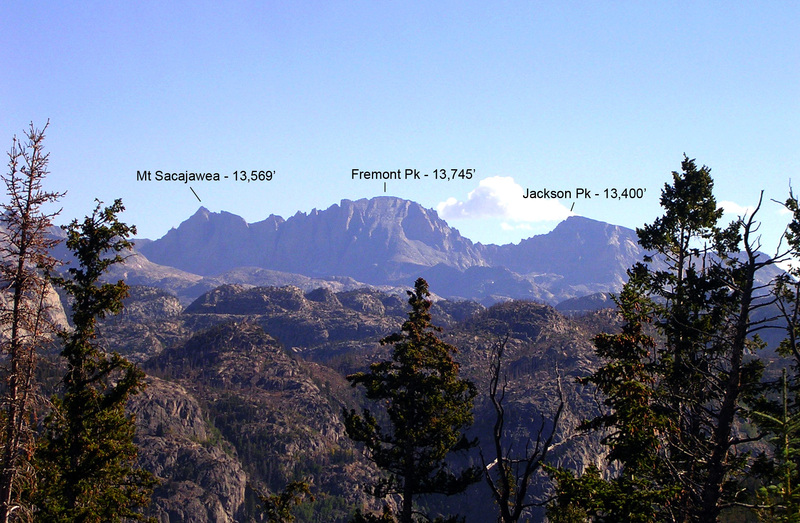 Update - Gannett Peak turned out to be our climb of the month. We were way too sore to attempt the WURL.